Check out the March issue of The Westcoast Reader! The next issue of The Westcoast Reader newspaper will be delivered to subscribers the first week in April 2018. Subscribe now to be sure you get your copy on time. The February issue of The Westcoast Reader is here! 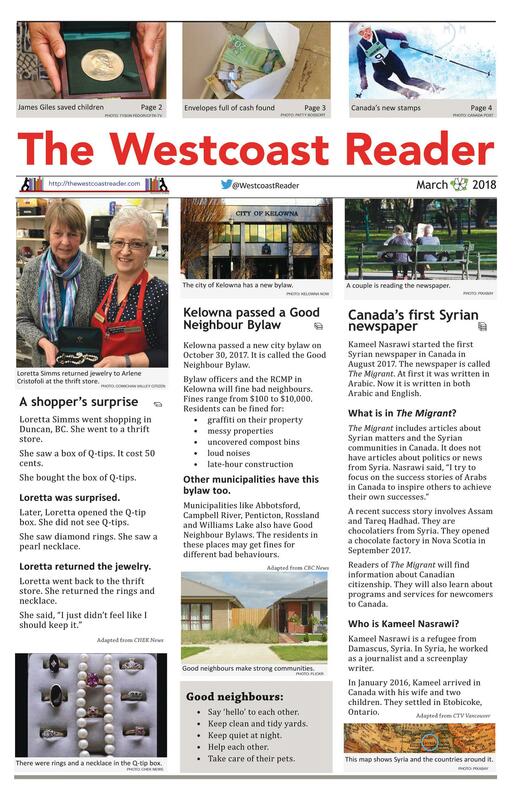 Here it is - the March 2019 issue of The Westcoast Reader! The December issue of The Westcoast Reader is out. Check it out! This entry was posted in Uncategorized and tagged animals, business, community, food, health, holidays, life stories, social issues, sports by Patty Bossort. Bookmark the permalink.